1) White linen invokes a fresh clean “summer day” feeling, like when you put fresh clean white sheets on your bed, or when you wear a freshly ironed cotton or white shirt or dress. variety of colors you may want to use. Notice how well white compliments the organic sisal rug and beach colors. 2) White linen for roman shades make a nice backdrop to the cheerful colorful pillows! White doesn’t back you into a corner for making changes to the decorating, as often as you like! 3) White drapes help make your molding and white woodwork pop! 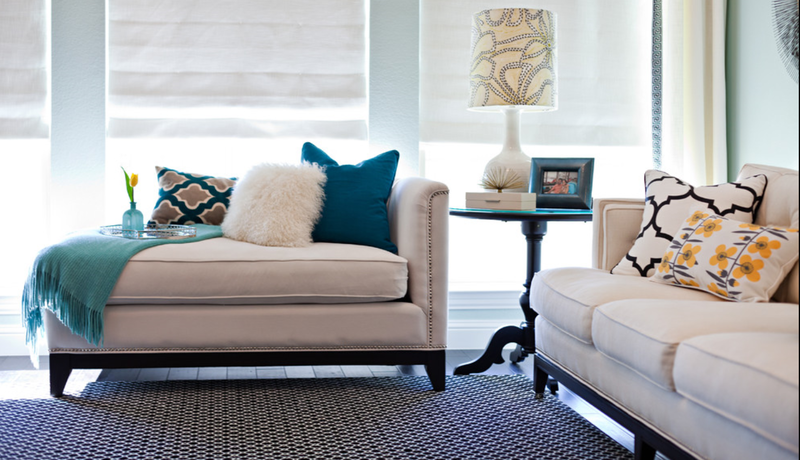 Notice how nice the white fabrics look next to the gray blue ceiling, gray walls, and sofa. 4) White drapes don’t compete with beautiful outdoor views, or beautiful architecture. 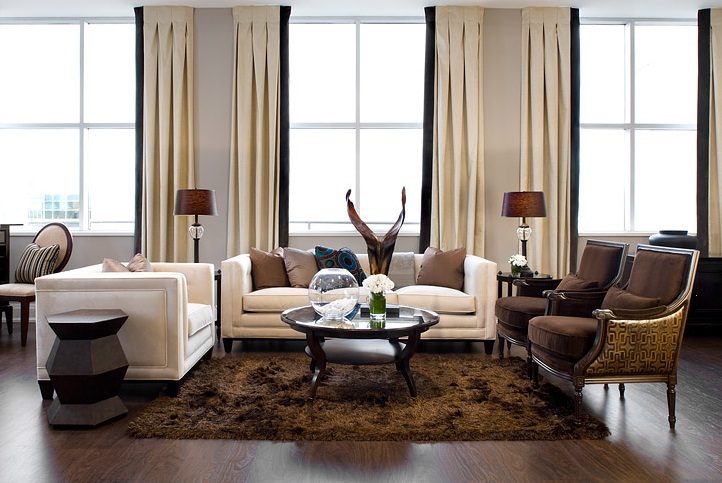 5) White drapes look great next to dark hardwood floors. Notice the contrast border on these drapes. The rick deep browns look amazing with the white window treatments. 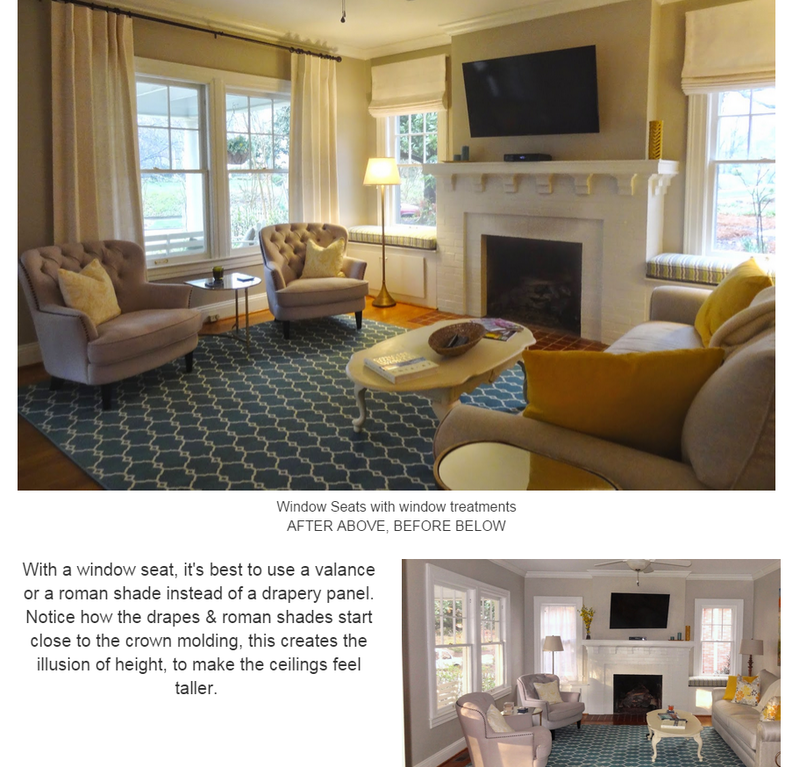 In this Greensboro NC home, our custom window treatments and roman shades can be closed for privacy, without blocking any daylight during the day. For questions, be sure to email us. – Or – Comments? We love hearing about your experiences with decorating! Click the word “comment” below….. Thanks for sharing this great article about window,.